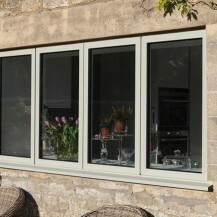 Double glazed windows are available in a range of frame materials including uPVC, Aluminium and Timber. uPVC frames are a long lasting option that requires low maintenance and can be recycled. Aluminium is a slim line, durable and long lasting material that is perfect for modern properties. Timber frames are strong, durable and are a natural insulator which means wooden windows help retain heat within the home, but require maintenance. Double glazed windows consist of two panes of glass with a gap between them, which in many cases is filled with air or gas. This gap helps to create an insulation barrier which slows down the rate in which heat escapes from your home. Furthermore, double glazing can also be improved by adding a coating, which will dramatically help reduce heat transfer and reflect interior heat back into your home. One of the biggest advantages of installing double glazing is that it significantly increases the insulation within your home. According to the Energy Saving Trust, replacing single glazed window with B-rated double glazing can help create an annual saving of around £170. 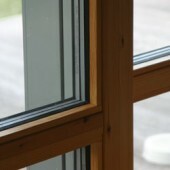 However, the effectiveness of double glazing will depend on three different factors; the window rating, quality of installation and frame material. The British Fenestration Rating Council (BRFC) have devised a Window Energy Rating Scheme (WERS) that works in a similar way to the Energy Rating label, which is more commonly found on household appliances likes refrigerators and washing machines. Double glazing has been designed to ensure heat stays inside your home. During cooler months, double glazing helps lower energy consumption, thereby reducing energy bills. However, the heat retention of a double glazed window is determined by the energy rating of the window. Apart from lowering energy consumption, double glazing also helps to insulate your home from outside noise. For example, in a busy city environmental noise is ever-present meaning occasional noise disturbance can be an issue. Installing double glazing helps to protect homeowners from noise pollution, and create a relaxed atmosphere free from unwanted external noise. The rating level e.g. A, B, C, D etc. Compared to single glazed window panes, double glazing offers increased security for your home. Installing double glazed windows is an appropriate measure to prevent break-ins and ensures that you and your family feel safe in your home. Moreover, good quality double glazing is fitted with restricted friction hinges that enhance the safety of your home. 1.There are three main materials to choose from when selecting the perfect windows for your property. uPVC is long lasting and easy to maintain. uPVC frames are the best insulators available and thus the best at reducing sound and retaining heat. 2. 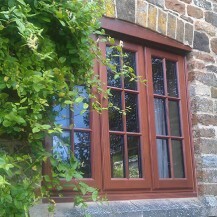 Timber windows are environmentally friendly and can have a lower environmental impact. 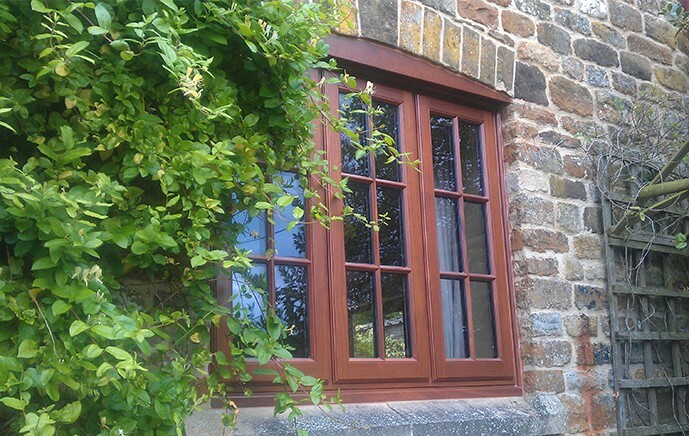 As a natural material, wooden windows are more eco-friendly that man-made options such as aluminium and uPVC. Furthermore, wood is a naturally insulating material, which means that wooden window frames can help retain heat within your home and reduce your energy bills. 3. Aluminium is a slim and long-lasting option. 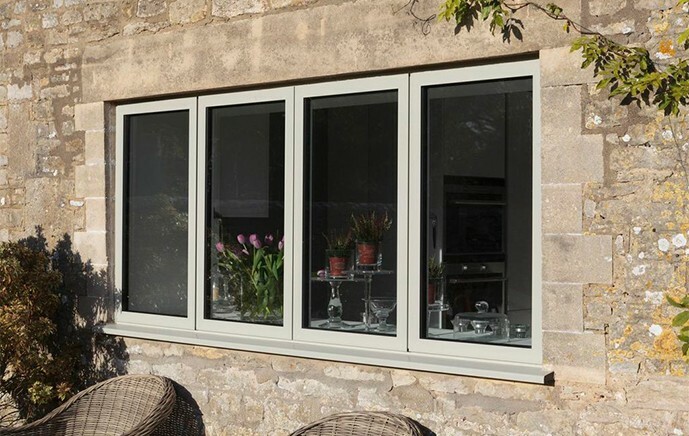 Aluminium windows offer strength and durability and are highly resistant to rust or corrosion.